For over twenty years, Belasco House has stood empty. Regarded as the Mount Everest of haunted houses, its shadowed walls have witnessed scenes of unimaginable horror and depravity. All previous attempts to probe its mysteries have ended in murder, suicide, or insanity. But now, a new investigation has been launched, bringing four strangers to Belasco House in search of the ultimate secrets of life and death. A wealthy publisher, brooding over his impending death, has paid a physicist and two mediums to establish the facts of life after death once and for all. For one night, they will investigate the Belasco House and learn exactly why the townsfolk refer to it as the Hell House. 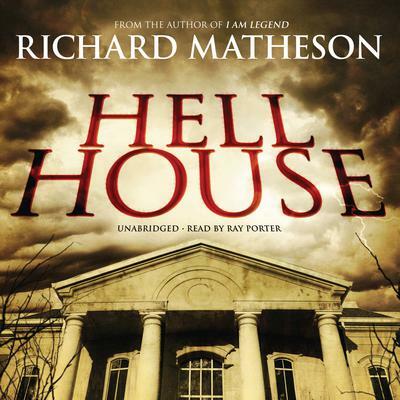 Hell House, which inspired the 1973 film The Legend of Hell House, is Matheson’s most frightening and shocking book and an acknowledged classic of the genre. For over twenty years, Belasco House has stood empty. Regarded as the Mount Everest of haunted houses, its shadowed walls have witnessed scenes of unimaginable horror and depravity. All previous attempts to probe its mysteries have ended in murder, suicide, or insanity. But now, a new investigation has been launched, bringing four strangers to Belasco House in search of the ultimate secrets of life and death. A wealthy publisher, brooding over his impending death, has paid a physicist and two mediums to establish the facts of life after death once and for all. For one night, they will investigate the Belasco House and learn exactly why the townsfolk refer to it as the Hell House. Hell House, which inspired the 1973 film The Legend of Hell House, is Matheson’s most frightening and shocking book and an acknowledged classic of the genre. I forced myself to get about half way through this title before deciding that it was too silly. This was meant to be a suspenseful, horror story, but it quickly delved into what one would probably make into a terrible b movie. At one point the malicious entity they are trying to excise, is described as having "skin like that of a cooked mushroom..." So, sadly, though the narration was wonderful by Ray Porter, I have to give this horror story a big thumbs down as it made me laugh more than feel afraid. Personally, I'm not a fan of horror or thrillers. However, I decided to give this one a shot since one of my favorite narrators, Ray Porter, worked on this title. Hell House starts like most typical horror novels do, some quick introductions of main characters along with an evil history of the property and then you are quickly transported into the house. That's when the story gets crazy. The evil spirit(s) of the house slowly make their presence known and then everything goes on a quick downward spiral from there. Ray Porter helps deliver the mood and suspense of all the characters, allowing you to feel chills from chapter to chapter. I definitely recommend this book to fans of being scared.